Need a last-minute dessert idea for Thanksgiving? 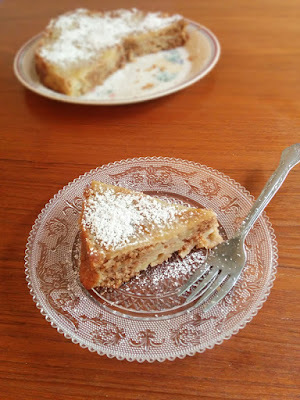 How about a company-worthy cake that is easy to make, yet looks like you snuck a pastry chef into your kitchen. A cake that's dairy free and egg-free, yet still tastes buttery-tasting rich. AND ... you don't have to haul out the electric mixer! How in the world is that even possible? 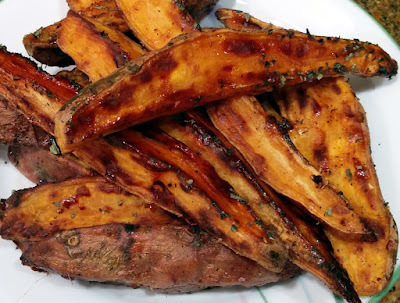 Drool-worthy Roasted sweet potato wedges ... with a honeyed cinnamon kiss! Why serve boring ol' mashed potatoes ... when you can these babies alongside your Thanksgiving turkey. Less work, and more flavor. AND, with all the calories you save, you can enjoy mass quantities of pie and chocolate cake with (almost) no guilt!